We are proud to be named to Indeed’s Top-Rated Workplaces: Best Hospitals. Florida Hospital comes in 12th on the list, thanks to rankings and reviews on Indeed.com! See all of the winners here. Florida Hospital today announced it will soon be AdventHealth, part of a new consumer-centric, national brand based in Central Florida. As part of the brand announcement, the organization unveiled new initiatives that will transform health care, including the creation of the region’s first comprehensive genomic health center. All of Adventist Health System’s wholly owned hospitals and hundreds of care sites across the country, including the entire Florida Hospital network, will adopt the AdventHealth name effective Jan. 2. In Central Florida, this includes dozens of hospitals, Centra Care urgent centers, and Florida Hospital Medical Group practices. Creation of the Center for Genomic Health: From disease prevention to diagnosis to treatment, genomics is the future of medicine. With genomic profiles, physicians and researchers are able to determine with unprecedented accuracy if someone is at risk for cancer, heart disease, and other conditions. The foundational work for the new Center for Genomic Health will begin in 2019, and soon AdventHealth Orlando will provide comprehensive genomics testing, analysis, interpretation and genetic counseling services. Spiritual Wholeness Screening Outside the Hospital: More than 80 percent of Florida Hospital’s patients are seen at physician practices, in labs, Centra Cares or other outpatient settings, and don’t have access to spiritual services routinely provided in hospitals. To deepen the commitment to treating the whole person — body, mind, and spirit — AdventHealth is launching a wholeness screening program in outpatient offices. Physicians are being trained how to address four core questions with their patients, such as, “Do you have a source of joy in your life?” and “Do you have someone who loves and cares for you?” If a spiritual, social or emotional need is identified, specially trained team members will respond accordingly and provide follow-up care and support. Making health one click away: AdventHealth will roll out new platforms for consumers to access their medical records, make appointments, easily pay bills, and have a virtual doctor’s visit. Tools such as Apple Health Records are underway, and other virtual platforms will make health care as simple as calling for a ride or ordering a pair of shoes. To celebrate the new brand rollout in 2019, AdventHealth will make eCare free to all consumers during the month of January. Florida Hospital eCare allows patients to see a doctor or nurse practitioner via their smartphone or tablet, accessing care without ever having to leave home. Florida Hospital Celebration Health broke ground on a new patient tower, which will allow the hospital to keep pace with increasing demand for healthcare in fast-growing Osceola County. The expansion coincides with the hospital celebrating 20 years of service to the community. The five-story, Mediterranean-themed tower will hold 76 all-private patient rooms when it opens, and 160 at buildout. It will also allow for the expansion and addition of important health-care services. The new tower will also include additional mother-baby space and a larger Progressive Care Unit, which is for patients who need close monitoring but not the acute level of services provided by an intensive care unit. The new patient tower will allow for the expansion of multiple programs and services, including a new open-heart program that will begin in January 2019. With the new tower, Florida Hospital Celebration Health will eventually have about 400 patient beds. The new patient tower is expected to open by January 2020. Florida Hospital Orlando unveiled an expansion to its cardiac intensive care unit, adding eight beds designated for patients who have severe heart and lung failure and need to be on a life-saving machine called ECMO. 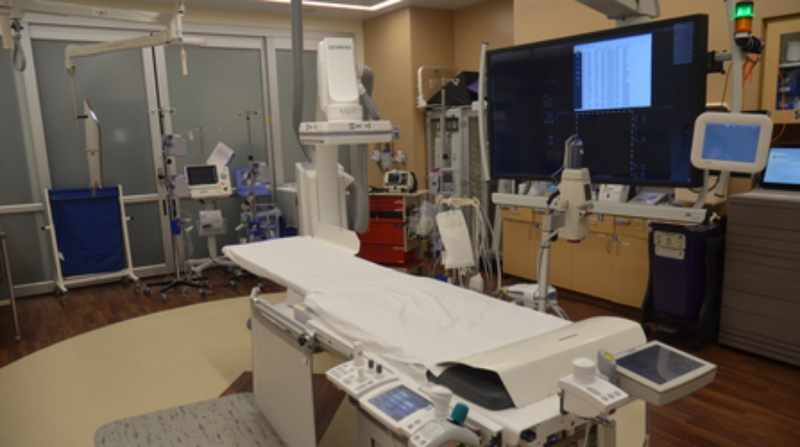 The unit is an extension of the hospital’s 34-bed surgical cardiac intensive care unit and will expand its capacity to care for 200 to 300 additional ECMO patients each year. Florida Hospital and GE Healthcare Partners are working together to design and build a command center that will transform clinical operations at Florida Hospital locations across Central Florida. The high-tech center, the first of its kind in the region, will use predictive analytics to help hospital staff working to deliver quality, safe, and optimized clinical operations. The command center will function like NASA’s mission control, but focused on constantly orchestrating patient care at nine Florida Hospital campuses in Orange, Seminole, and Osceola counties. Together, these hospitals handle more than 2,000,000 patient visits per year, making Florida Hospital one of the nation’s largest nonprofit health systems. The command center’s Wall of Analytics leverages existing IT systems. The platform takes data from multiple systems and applies artificial intelligence algorithms to spot the “needle in the haystack” so staff can act to prioritize patient-care activities and discharges, make short-term staffing decisions, and mitigate potential bottlenecks before they occur. Command-center technology has also been shown to reduce wait times, expediting needed patient care. And by using near real-time data, providers can streamline their processes in time-sensitive clinical situations. Florida Hospital joins a growing ecosystem of such centers which includes The Johns Hopkins Hospital in Baltimore and Humber River Hospital in Toronto. Florida Hospital’s Command Center (FHCC) will achieve the distinction of being the largest health-care command center (square footage) supporting the largest number of beds and hospital campuses. Analytic “tiles” in the FHCC will leverage learning from the other centers and break new ground in using artificial intelligence to constantly help caregivers. The command center will be built in a centralized location to serve Florida Hospital operations across the region. It is expected to open in 2019. Adventist Health System (AHS) which includes Florida Hospital, has been recognized by Becker’s Hospital Review, a national health care publication, as one of the top places to work in health care. The 2018 “150 Top Places to Work in Healthcare” list highlights hospitals, health systems, and health care companies that, among other things, promote diversity within the workforce, employee engagement and professional growth. Becker’s Hospital Review noted that Adventist Health System works to promote personal, professional and spiritual growth with its workplace culture, provides opportunities for employees to take part in mission trips and encourages maintaining a healthy lifestyle through its wellness program. With more than 80,000 employees and 46 hospital campuses, Adventist Health System offers career opportunities across its nine-state footprint in areas ranging from large metropolitan cities to small towns. The organization combines competitive wages and benefits with a culture that promotes the overall growth of employees as they advance the mission of Extending the Healing Ministry of Christ. Many AHS employees also participate in service initiatives and activities to support their local communities. Residents and visitors who need emergency cardiac care in the Celebration area now have more options close to home. Florida Hospital Celebration Health recently launched vascular surgery and interventional cardiology services with two newly expanded and remodeled cardiac catheterization labs, where physicians can use a thin, flexible tube to check and repair the blood flow in coronary arteries. That means patients suffering from conditions such as heart attacks, congenital heart defects, and disease affecting arteries or veins can be evaluated, diagnosed and treated in a single location. The catheterization labs started offering pacemaker services this week. Osceola County’s population is expected to skyrocket over the next decade. The University of Florida’s Bureau of Economic and Business Research estimated 288,200 residents in Osceola in 2015, and that’s projected to climb nearly 24 percent to 358,700 by 2030. Surrounding Orange and Polk counties are also projected to experience notable growth. The Celebration expansion is the latest of Florida Hospital’s growing cardiac services — a diagnostic cath lab opened at the new Florida Hospital Apopka in December, and before that, a cath lab opened at Florida Hospital Kissimmee. These join the established services at Florida Hospital Orlando, Altamonte, Winter Park and East Orlando campuses. The Florida Hospital Cardiovascular Institute is one of the largest and best-regarded cardiac facilities in the country, and Florida Hospital is the only healthcare provider in Central Florida that performs heart transplants. Every year, the Cardiovascular Institute serves more than 70,000 cardiac patients, including 25,000 who seek emergency care and 2,000 who require cardiac surgery. For more information on a career with the Florida Hospital Celebration Health expanded Cardiology Services, click here. Florida Hospital Altamonte is providing an important new service in Seminole County that will allow its tiniest and most vulnerable patients to get care closer to home. On Tuesday, the hospital debuted its new Level II Neonatal Intensive Care Unit (NICU), which features 10 private rooms, and meets a growing need for critical care in Central Florida. The rooms are equipped with Draeger’s Babyleo TN500 IncuWarmer, which uses groundbreaking technology to regulate body heat, maximize efficiency for clinical staff and integrate families in their babies’ care. The Babyleo also features low sound and light levels to create a womblike atmosphere and has advanced safeguards against infection. Its “kangaroo mode” allows parents to more closely interact with their baby. 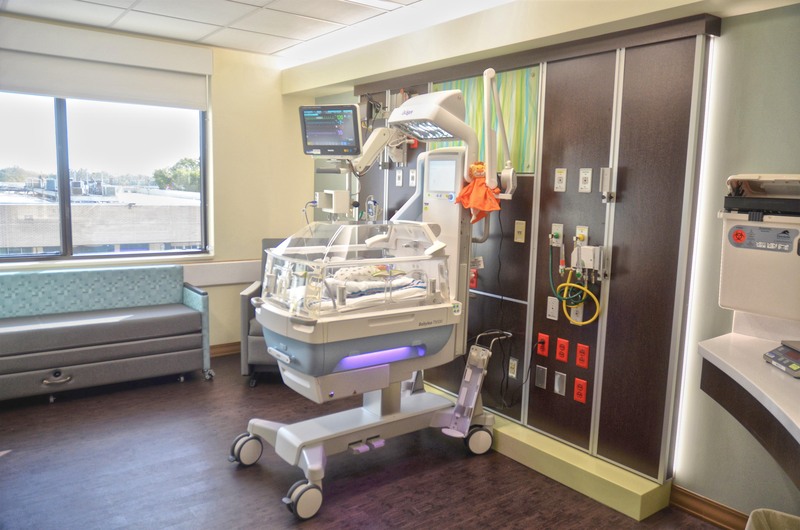 The new NICU is part of Florida Hospital’s neonatal network of care that includes 150 beds throughout Central Florida (including units at Orlando, Winter Park, Celebration, Daytona Beach, and now Altamonte Springs). The NICU network allows patients to receive the highest level of care and includes a team of specialists who provide comprehensive diagnostic and therapeutic services, from minimally invasive surgery to highly complex cases, and innovative care and procedures.